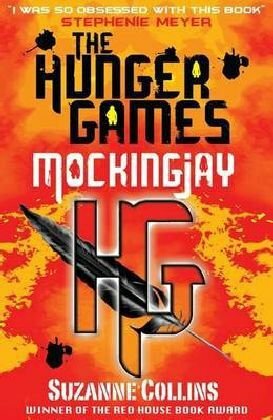 The Hunger Games series is a really good series. The first book is by far the best one, but the third is still better than the second. Mockingjay has a red line through it, which Catching Fire lacked. It’s the end of the war, who will win and who will make it? That was the question I asked before opening Mockingjay, and the book answered most of my questions, even though some where left unanswered. All in all, the best with this book was the development of the characters, some of them more amazing than the others. I am really amazed on how deep I can analyze why certain people acted in certain ways, and it all makes sense. It really feels like Collins thought this through when she wrote it. No characters did just do stuff for no reason; they always had one, even though we (through the eyes’ of Katniss) couldn’t see or understand it directly. The Hunger Games series has become one of my favourite series, and it feels sad to leave it behind me. The dystopian setting in the books is unique for me, I never managed to read dystopian stories before, even though 1984 since long has been on my to read list. Let’s just say that I recently watched the Matrix for the very first time and enjoyed it. It is the more advanced technology in the dystopian setting that attracts me. In the Hunger Games I like how it is hidden in a time that looks more like the early 20th century (in district 12), but only the Capitol actually having the positive effects of the current technology. Handed over to boyfriend when I was there on a visit.